Panasonic has launched P55 Max Smartphone in India with 5000mAh Battery and Quad-core SoC. 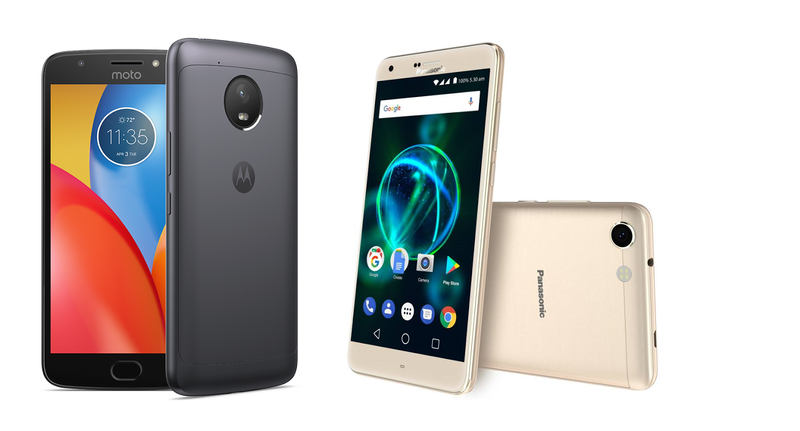 Check out Price, Specs, Comparison between Moto E4 Plus and Panasonic P55 Max. 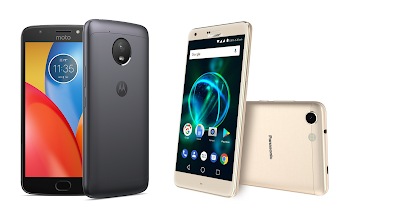 Both Phones comes with Metal body,5.5-inch (1280 x 720 pixels) HD 2.5D curved glass display powered by 1.3GHz Quad-core MediaTek MT6737 64-bit Processor.Moto E4 Plus comes with 3GB RAM and 32GB internal storage whereas Panasonic P55 Max has 3GB RAM and 16GB of internal storage. Both SIM supports Dual SIM & 4G VOLTE runs on Android Nougat.Moto E4 Plus has Fingerprint Scanner support which lacks in Panasonic P55 Max.both phones are packed with a 5000mAh Battery. Panasonic P55 Max comes in Matte Black and Gold colors priced at Rs. 8,499. Moto E4 Plus comes in Iron Grey, Fine Gold and Oxford blue colors priced at Rs 9999 Both phones available exclusively On Flipkart.